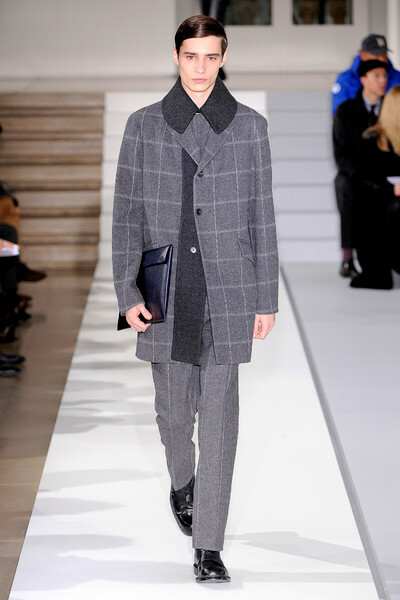 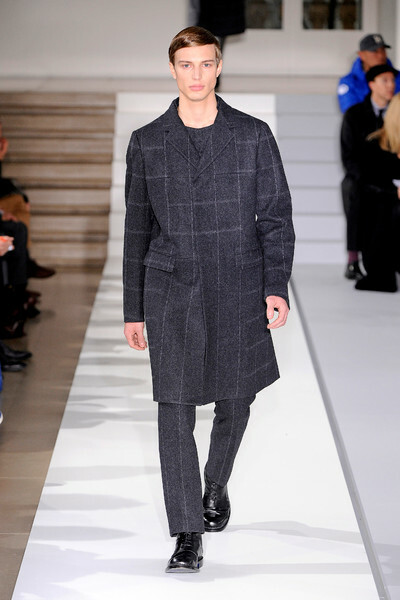 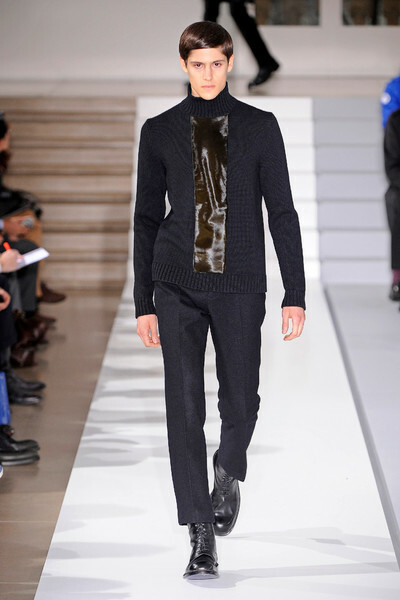 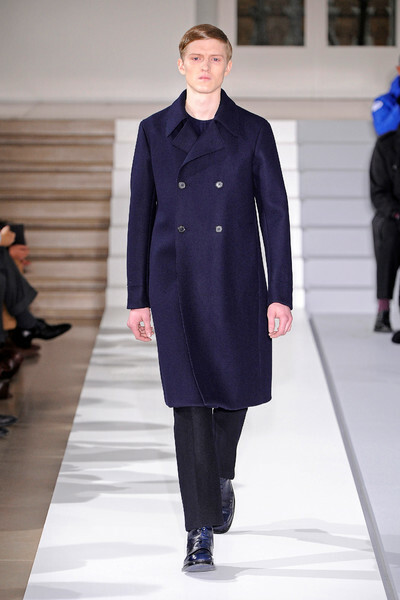 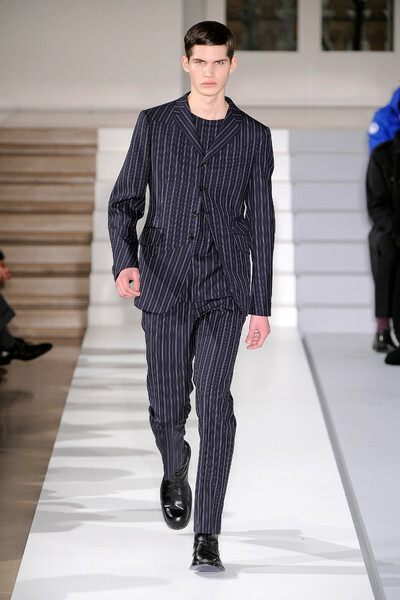 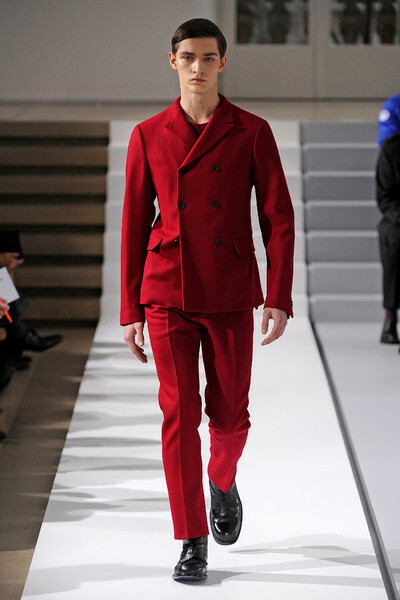 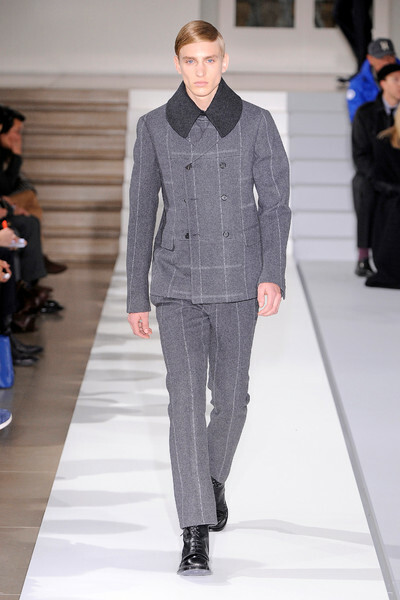 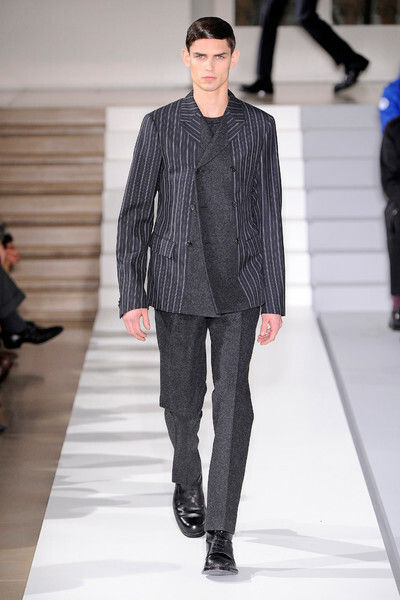 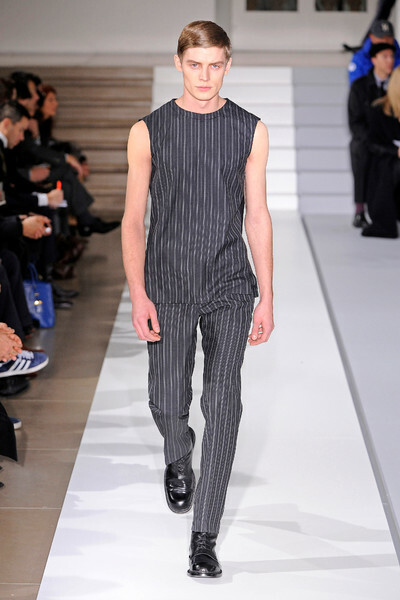 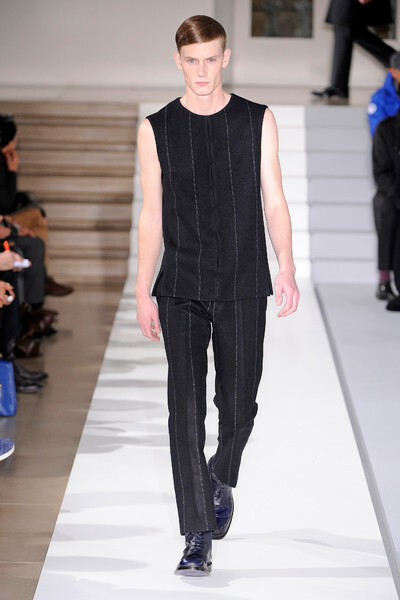 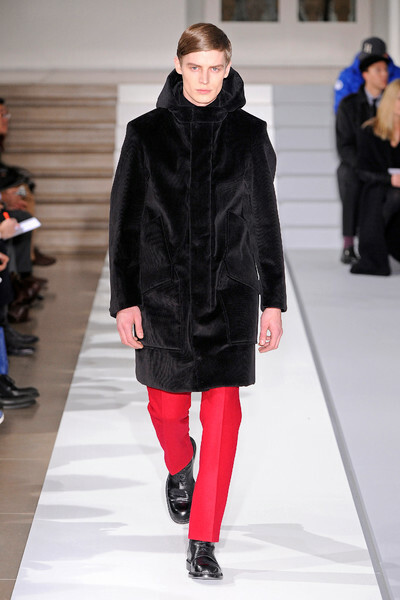 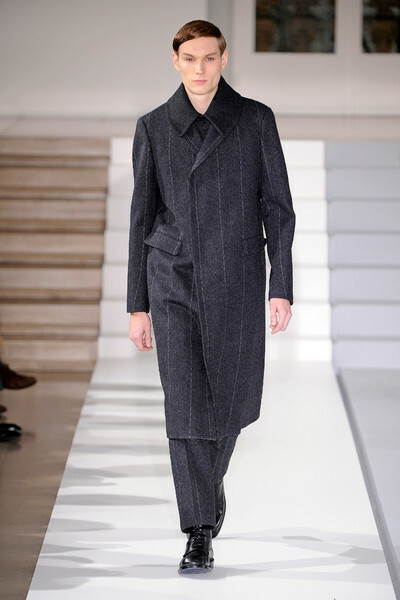 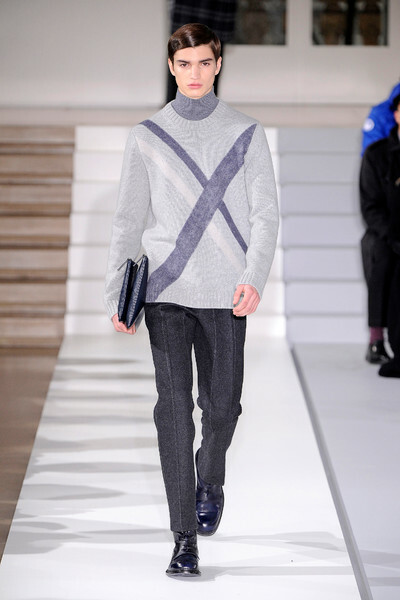 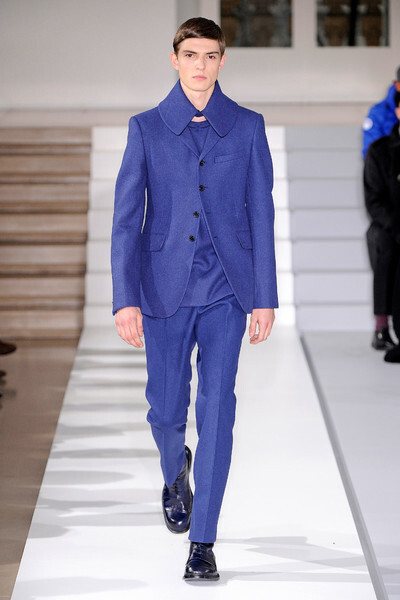 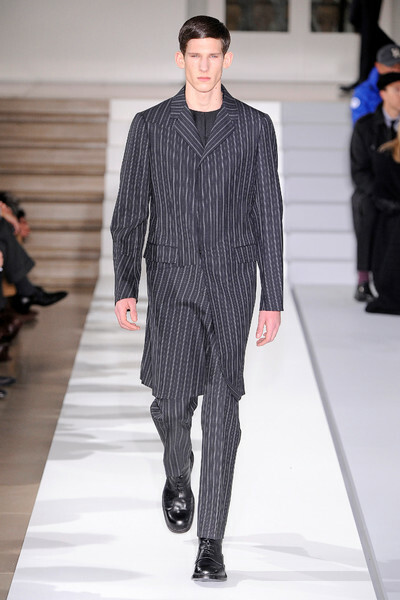 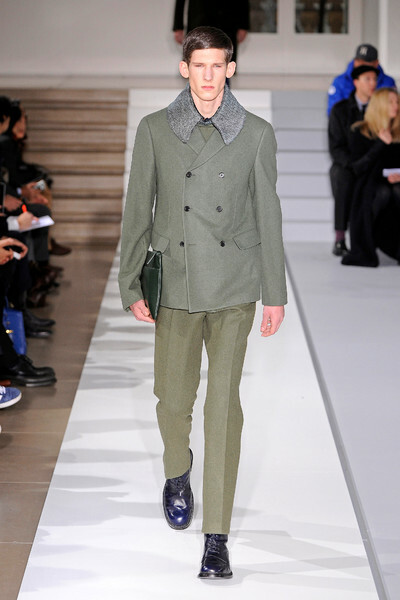 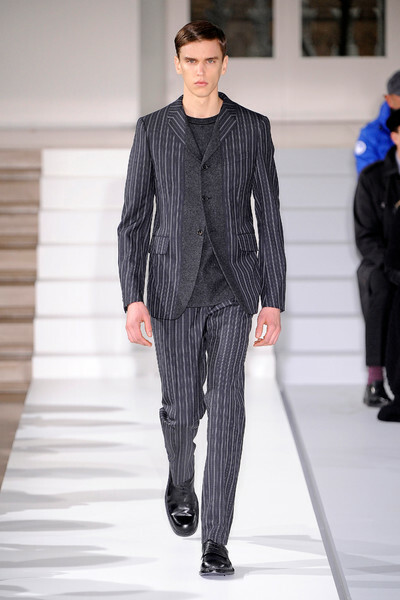 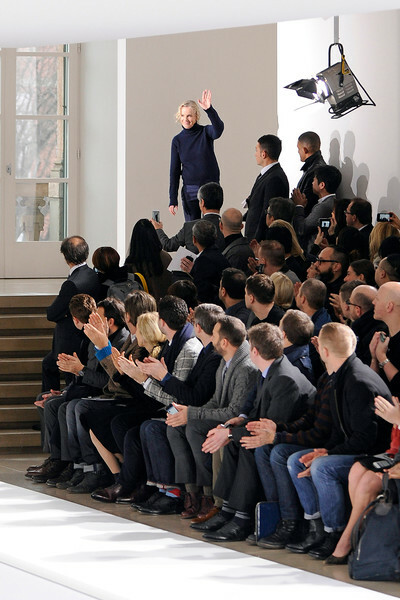 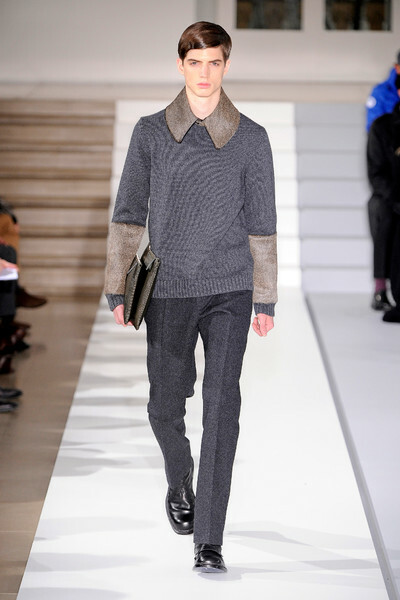 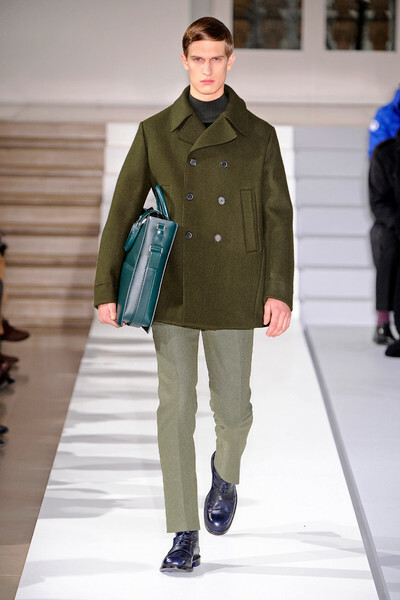 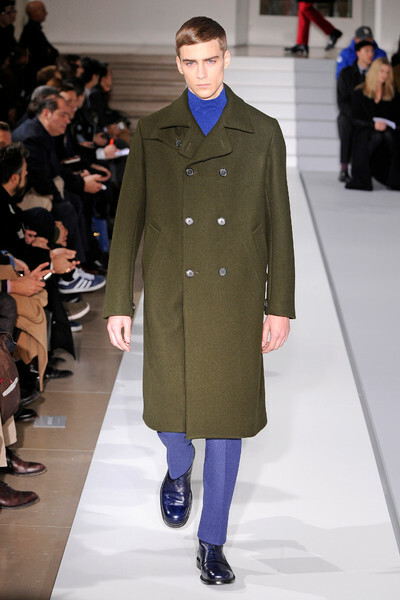 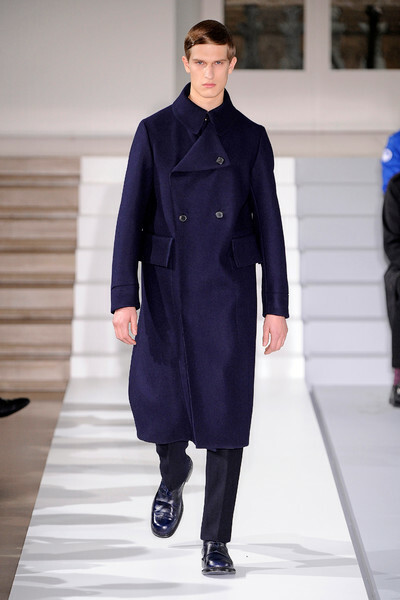 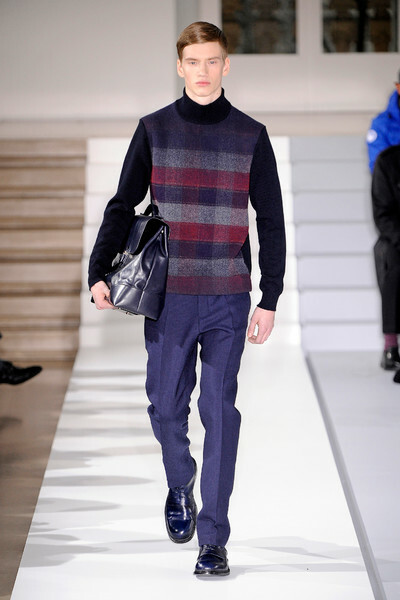 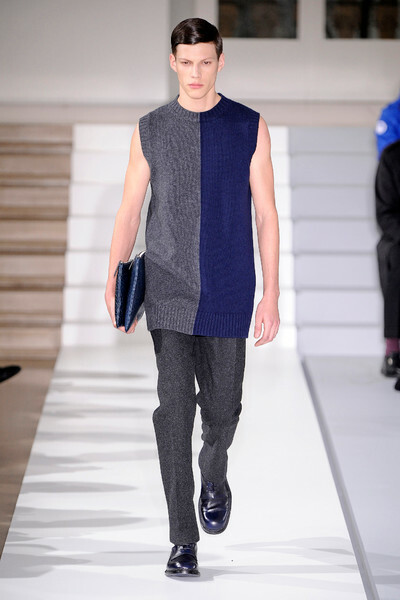 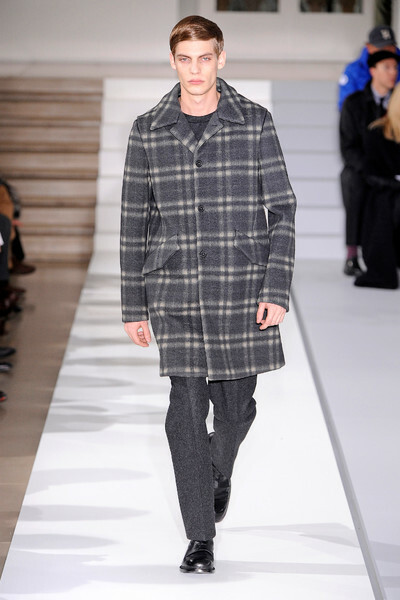 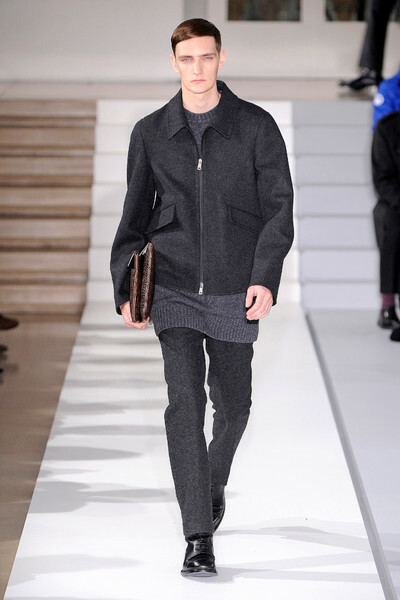 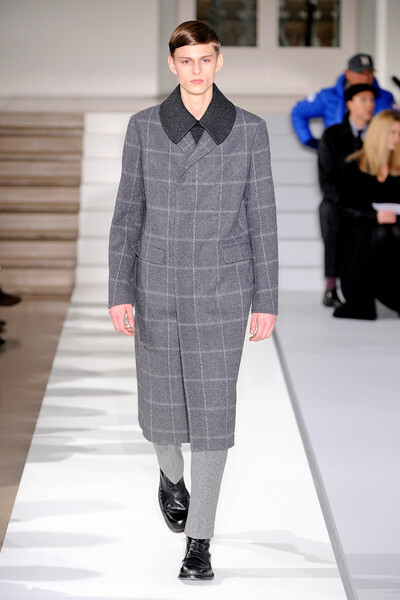 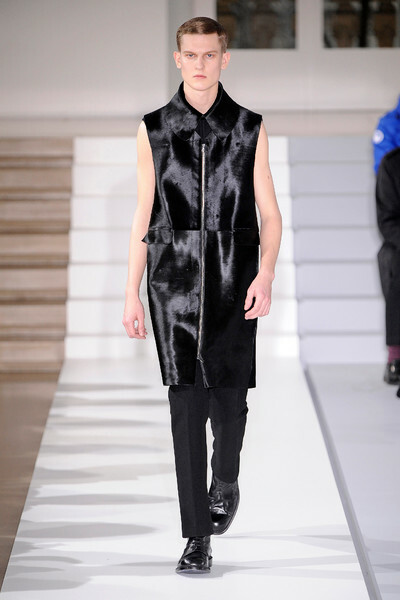 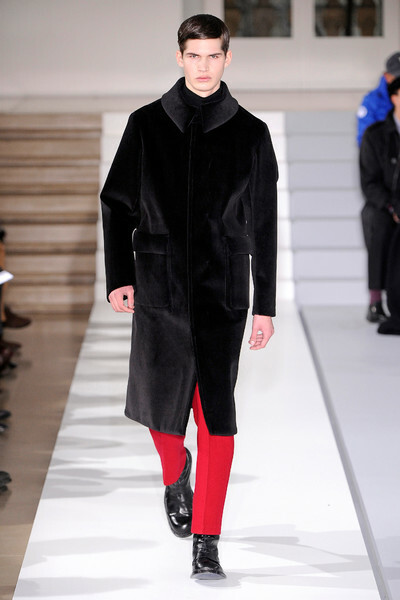 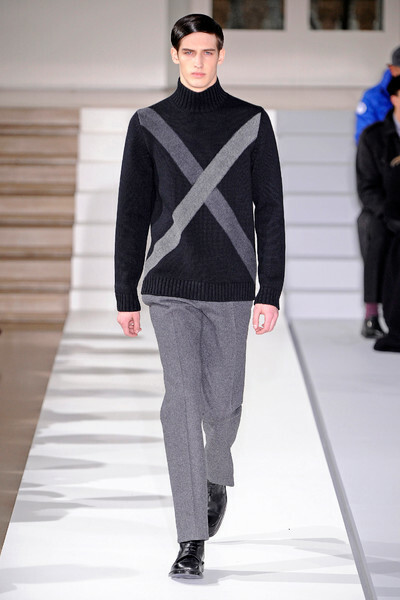 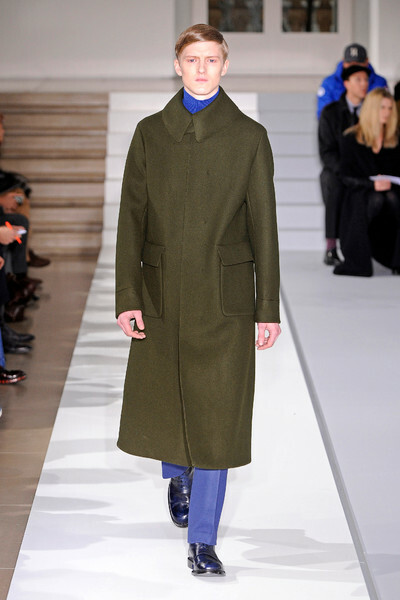 For her second menswear show (and the start of Milan Fashion Week) since her return Jil Sander did what she does best. 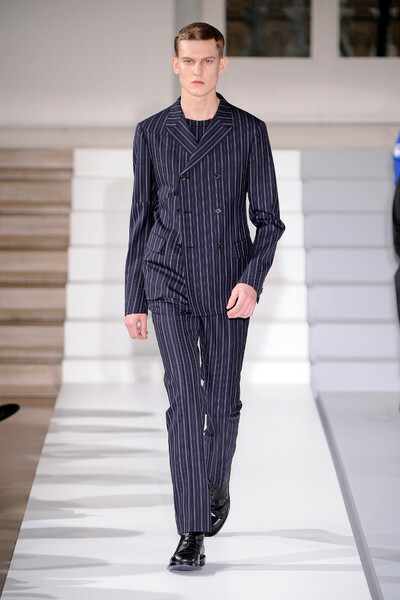 She sent out perfectly tailored clean looks, often done in only one shade. 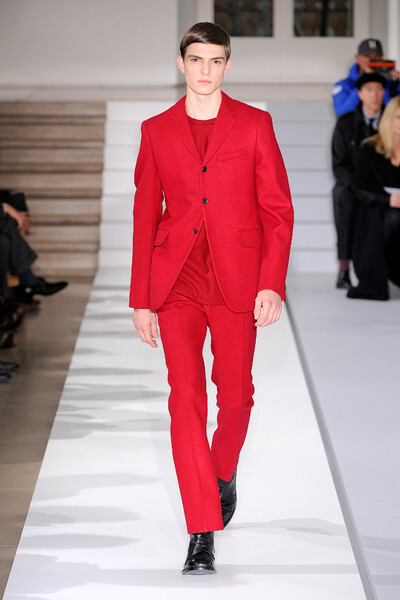 Like the completely red or pinstriped suits even worn with matching shirts underneath. 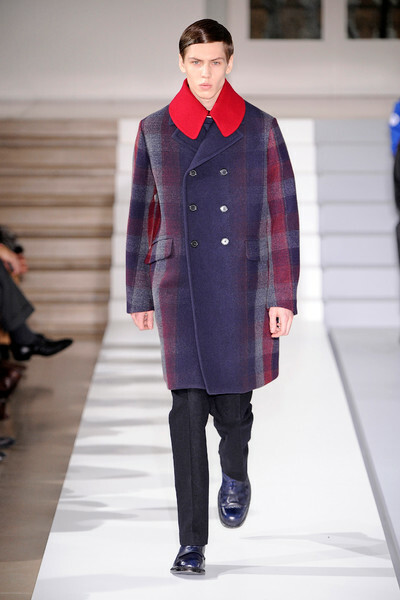 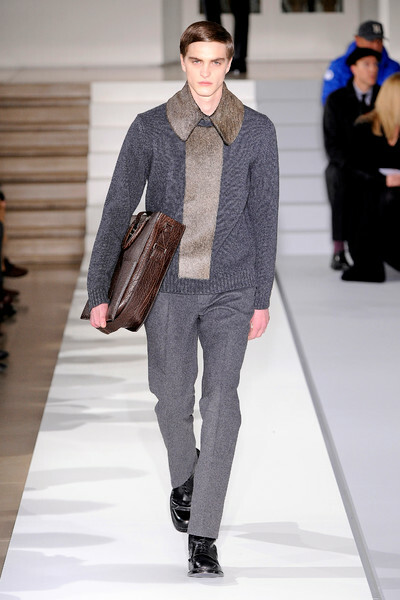 Models looked warm and cosy in check printed coats, sports jackets, and big woolen sweaters with large collars. 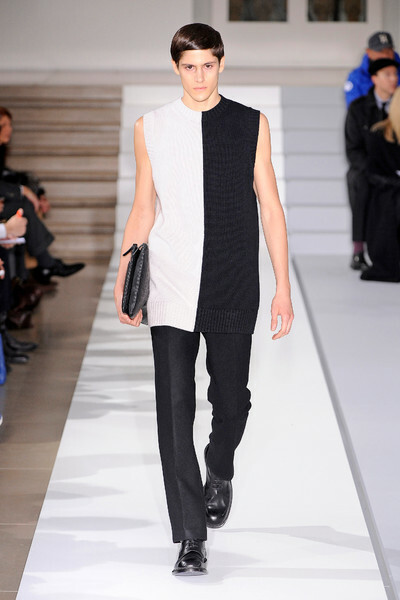 The six sleeveless chic looks seemed less appropriate for winter, yet did stress Sander’s vision. 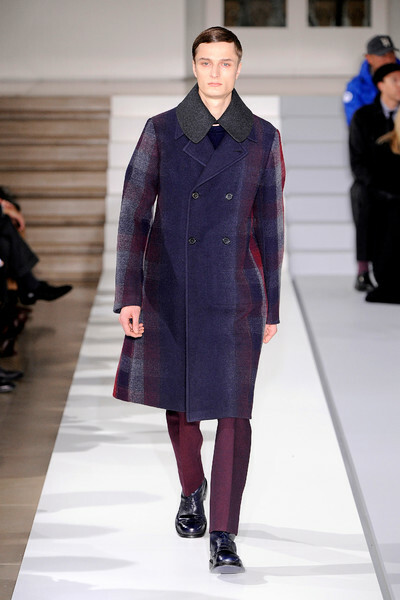 Violet, burgundy and army green spiced up the grey color palette. 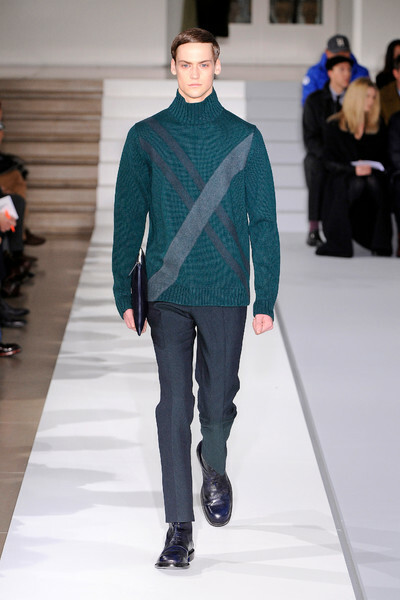 Bands placed on chunky sweaters made up for a fun detail and plain duo colored tops might just be it for upcoming winter.